Welcome 2014! Out with the old and in with the new! So, I Mustache, are you reorganizing your house and going through all of your “stuff”? I am here. The first project we are working on is cleaning out the guest bedroom to move my daughter into it. For 9 years my old bedroom furniture has taken up the space with it’s queen sized bed, long dresser and tall chest cabinet. I’ve got 3 long under bed storage containers stuffed under the bed as well as 3 stacked in the closet. This poor room has become our dumping grounds. The project is to get rid of the bed and donate all the clothes, sheets, blankets and “stuff” we have accumulated. Once the room is cleaned out, it’s time to paint and then move my Little Cup in. I hope to be done by the end of January. It seems like a huge and overwhelming task at the moment, but it just needs to be done. I’m hoping the cleansing leads to a euphoric feeling that pushes me on to more projects. 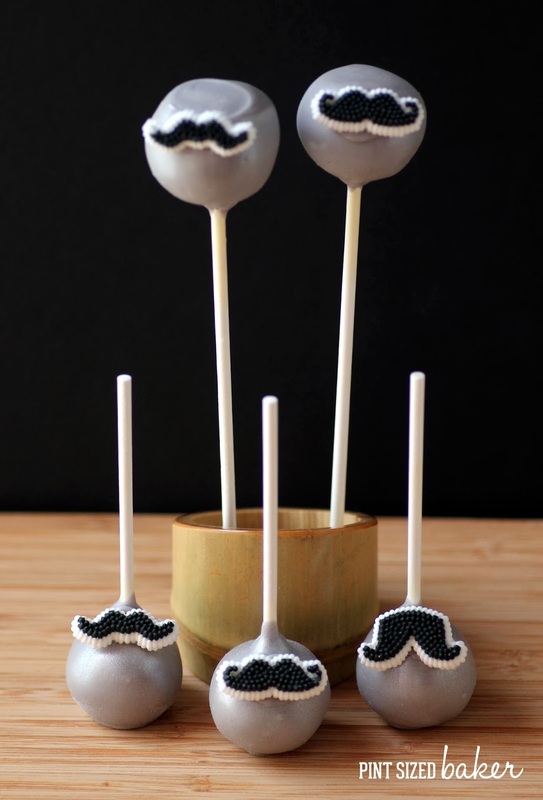 I Mustache, how would you decorate your own Studio and Office?? Because that’s what I’ll be doing in my daughter’s old room when she moves!! I have no office, my desk is just in the front room. I take my photos in the dining room and have to completely rearrange it every time I want to take photos. Mr. Quart got me a big light set up so I can take photos day or night and not be forced to get things done before the sun sets. 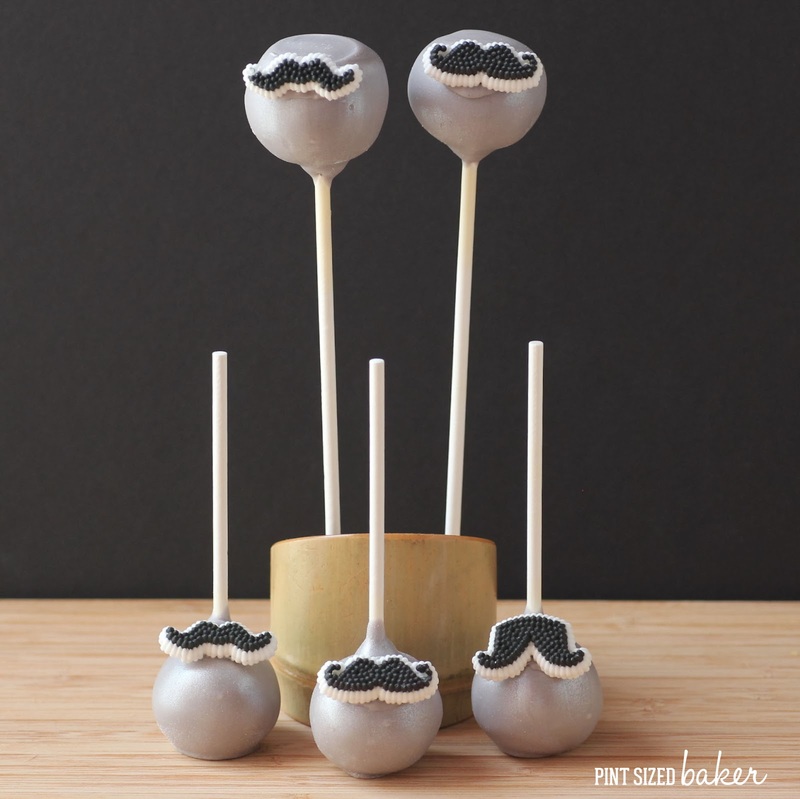 Oh, and what do you think of these adorable Mustache Cake Pops? Aren’t they fun?? 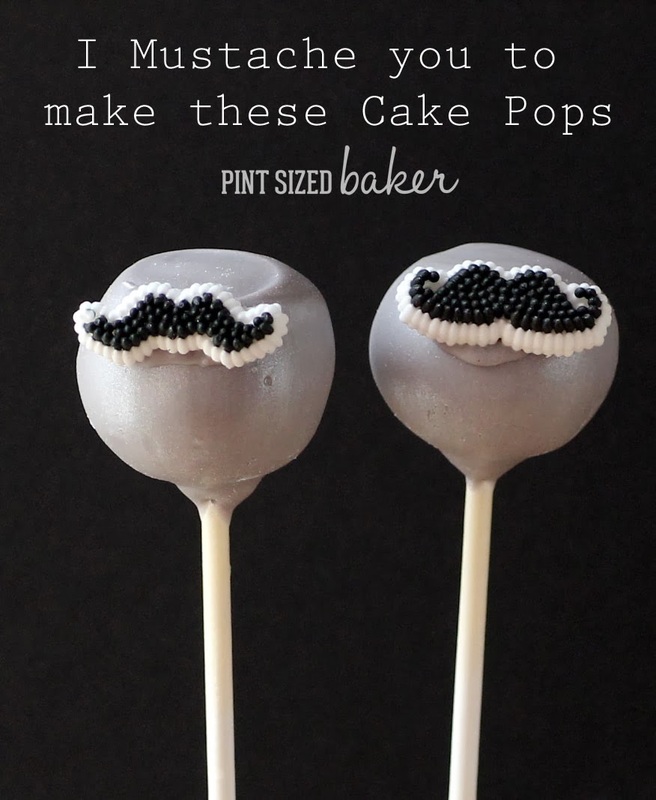 I made them a while ago for a wedding shower. 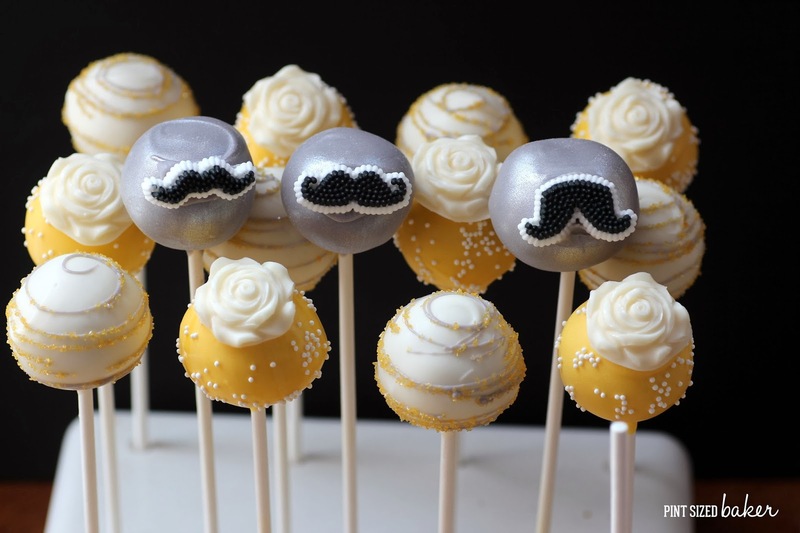 The yellow roses were so feminine, I wanted to send something for all of the manly men who wanted to try a cake pop. So, I made some grey cake pops, added a little Silver Luster Dust to them and added the Mustache Candy Shapes and called them ADORABLE! Well, adorable to a girl… manly to a man.